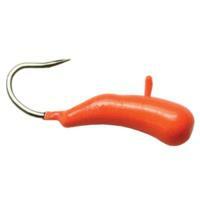 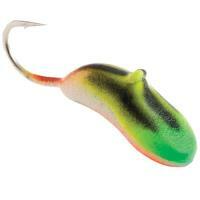 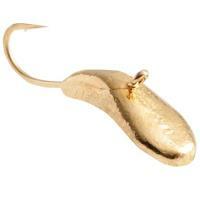 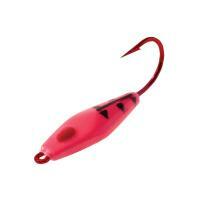 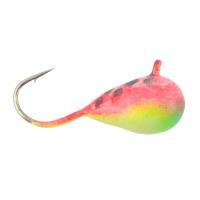 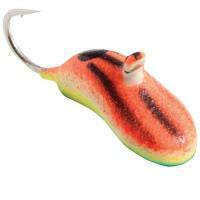 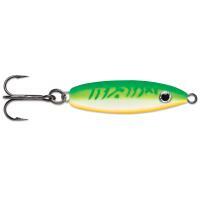 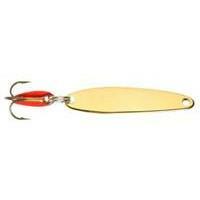 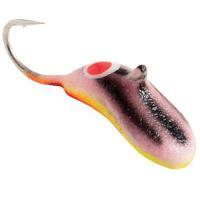 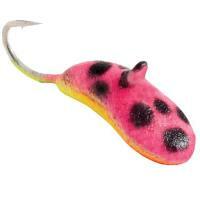 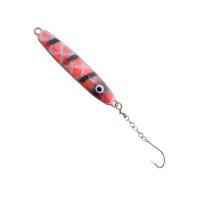 Clam Duck Bill Drop Jigs feature arching-shape bodies with the eyelet set back. 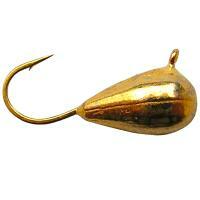 This style allows the heavy and prominent bill to protrude out where it can catch water. 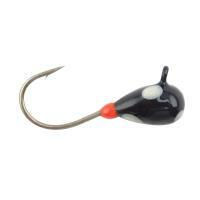 When jigged, Clam Duck Bill Drop Jigs will swim out away from the center of the hole, covering more water. 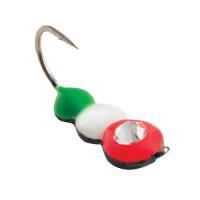 These jigs are great for crappie, perch, bluegill, small trout, and more. 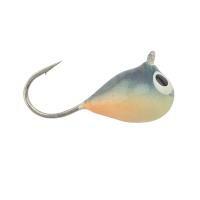 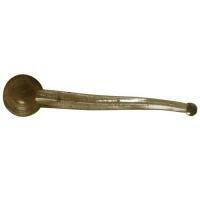 Increase the attraction by adding euro larvae, waxis, spikes, and other plastic baits (sold separately). 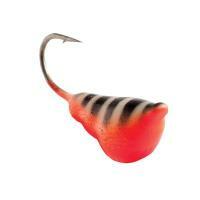 Pros: Shows up well on Vexilar. 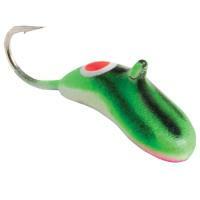 Comments: Fished several times with these now and have caught more Crappies than anyone around me. 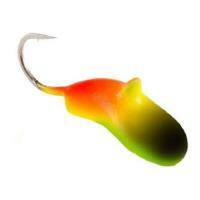 Works well on Gills too. 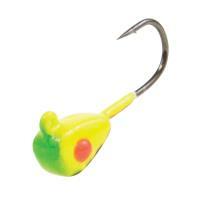 Friends fishing next to me will definitely be buying some after watching me put slabs in the bucket as all they were catching were Gills.